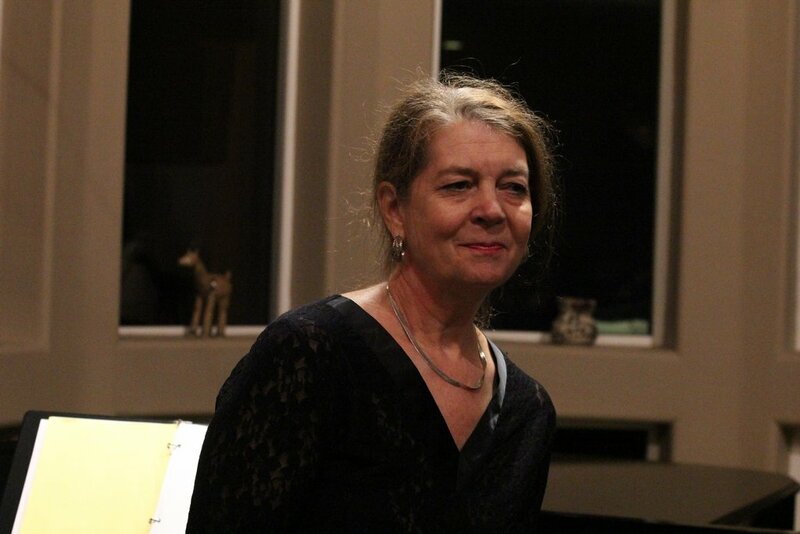 • Sylvia Gray is on the history faculty at Portland Community College, and pursues music as an avocation. 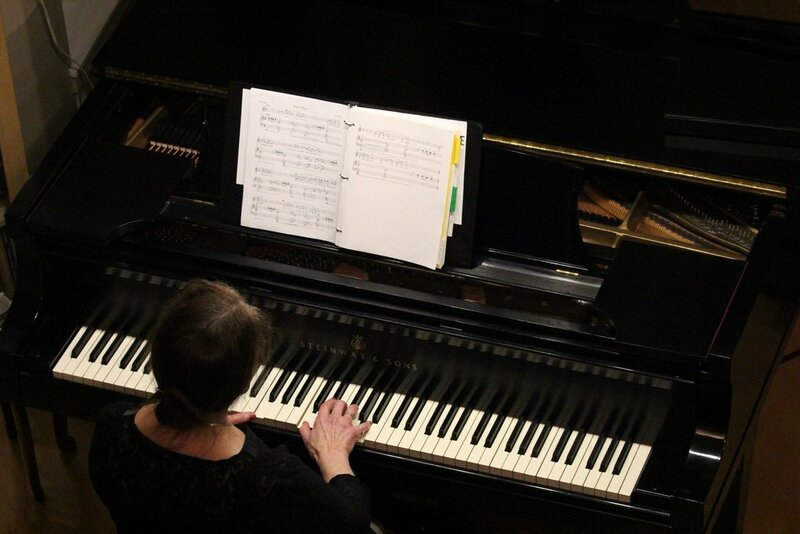 She has taught piano, played for weddings and receptions, and accompanied soloists for over 25 years. She participated in the Van Cliburn Fifth International Piano Competition for Outstanding Amateurs; has given performance/lectures on Amy Beach and Fanny Mendelssohn; and is a member of the violin-cello-piano trio, The Classical Beauties. Sylvia loves poetry, and will sometimes ask a poet for a copy of a poem he or she has read, along with the surprising request to compose a piece of music for the poem. As you would imagine, her personal life revolves around music. Sylvia’s job required her to live in Portland, but Viktors’ work for IBM can be accomplished anywhere, so he moved up to Portland from Austin, Texas. They sold their houses and found a house that would be appropriate to hold house concerts in. Viktors’ Steinway D is a wonderful piano, which is perfect for their concerts. “We move out the dining table and pull out some folding chairs and we can accommodate 60 people quite easily if people don’t mind being in close quarters.” Together, the couple has hosted many intimate house concerts featuring talents like the Bottom Line Duo coming up in February. 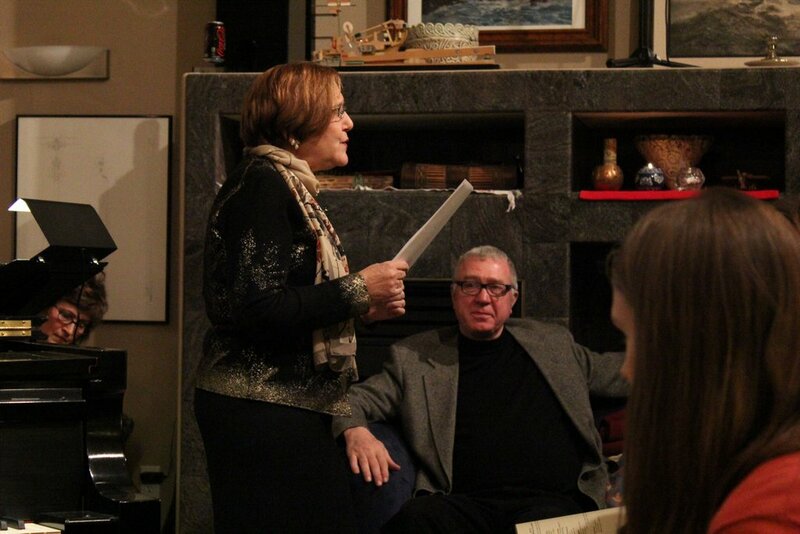 On January 12, Sylvia’s art songs were in the spotlight. 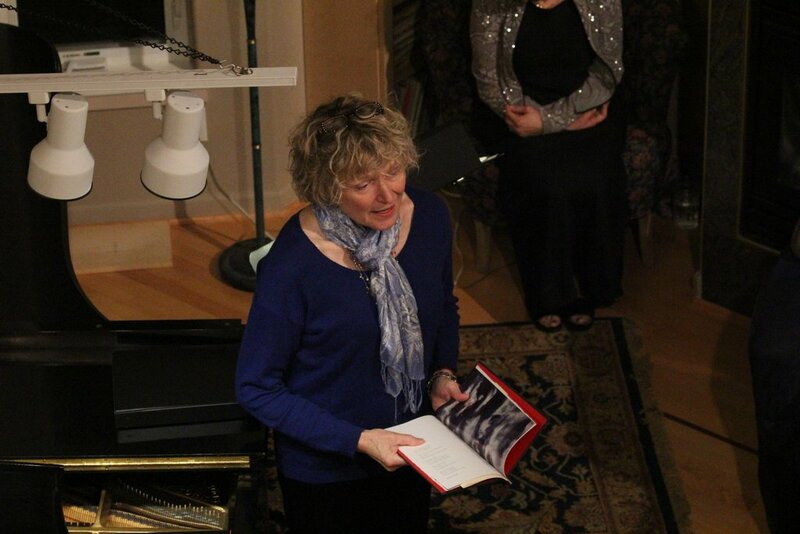 All five of the poets whose work she composed art songs for were present, and each read the poems before the art songs were performed by the soprano Nathalie Euwer Croft, accompanied by Sylvia Gray on the piano. Click here for more photos of the event. What is an art song? It is a piece of music usually written for one voice and the piano, and is generally written for a poem. As a composer, this is one of Sylvia’s passions. • What inspires you to compose music, especially art song? 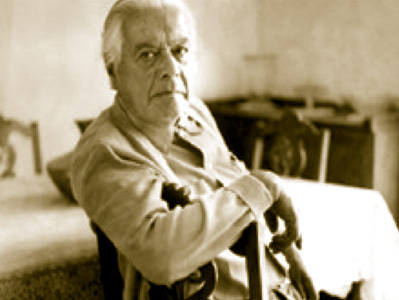 I need something to precipitate my creativity, it seems – and a beautiful poem that captures a nugget of life in a clever or evocative way can do that for me. In addition, I need to not only be attracted to the poem, but I also need to have a spark of an idea as to how I can use music to highlight the words and meaning. Poet Cherry Britton recently retired from a career in advertising and graphics. Even more recently she returned from a two-month journey along the Chemin de St. Jacques, one of the medieval French pilgrimage routes leading to Santiago de Compostella in Spain. It was an astonishing adventure. Her sketches and poetry spring from the everyday oscillations of the sacred, the profane and the mundane along her even longer path through life. • What draws you to the poems you choose for your art songs? I started thinking about doing this when I read a collection of poems that included one written by a colleague at Portland Community College, Michael McDowell. It occurred to me that if I wanted to, I could set a certain poem to music. I thought about that for a few years (it’s not like I’m just sitting around doing nothing) — and then told myself, it’s one thing to be pretty sure you can do something if you want, but it’s another to actually do it. I was also stymied by the music software — I bought some, and it had problems with my computer, and I let that stop me. But eventually I decided I would just make it happen, and so I got through the computer problems and sat down to do it. It turns out that I really can do it. So to get back to the actual question — I have to have a spark of an idea of how the music can enhance the poem. Usually if I have a good idea, with a lot of work I can bring it to fruition. It helps if there is a discernible form in the poetry itself. Most 20th and 21st century poetry is not written in exact meter — and that can make things challenging from a musical standpoint (or interesting!) — but even then, if there is a refrain, or a repeated line, or some kind of symmetry — that makes things easier. It’s almost as if it’s an art assignment with some boundaries around it. I think I need some boundaries within which to work, and if I can see the potential for creativity, with the poem providing the boundaries, that’s my assignment. Caroline LeGuin lives on the outskirts of her home town, Portland, Oregon, where she juggles a semi-rural lifestyle—five acres, three horses, two dogs, a cat, tomatoes, blackberries, etc—with her writing and with the ever-absorbing work of teaching writing and literature at Portland Community College. • How have the poets responded to the music you’ve created, or when you’ve asked if you could compose a piece for a poem? I think that most poets have been pleased that their poetry somehow sparked my imagination. I think it gives a second life to a poem, which lived first on its own. I’ve always felt a little hesitant – it’s like handing one’s beloved child to a baby-sitter. Will I, the composer, make the same judgment calls as the writer? 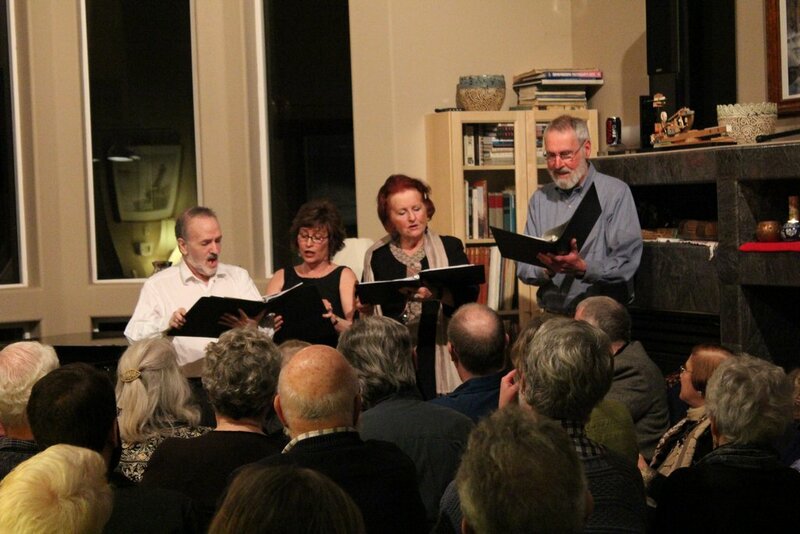 In most cases the poets have seemingly been pleased, and in one case, in our most recent concert, one poet said she saw more meaning in her own poetry because of it. That’s a great compliment. In another case, though – one poet I had earlier written songs for suggested that I should write music for her friend’s poetry as well. He agreed, and he did appreciate my efforts – but it turns out that he had a much different idea of the mood of one of his poems than I did. After the song was in its final drafts, I sent him a scratch copy. He clearly had some misgivings. This led to a very interesting and rich discussion between us. I always get permission beforehand to write, and so the permission was already there. I mulled it over. I tweaked it somewhat. But while I could see his viewpoint – I also could see that, based on the words alone in front of me, my viewpoint was also valid. He could see that, too, as our discussion progressed. 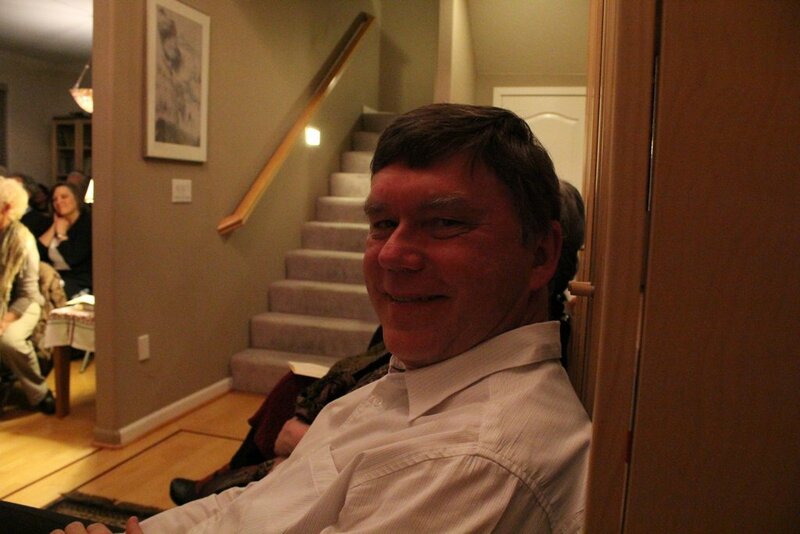 He ended up coming to one of my gatherings and reading and enjoying it very much – but I’m afraid he might have liked to just keep his poetry on the page and in the spoken voice after all. I think it was a learning experience all around. 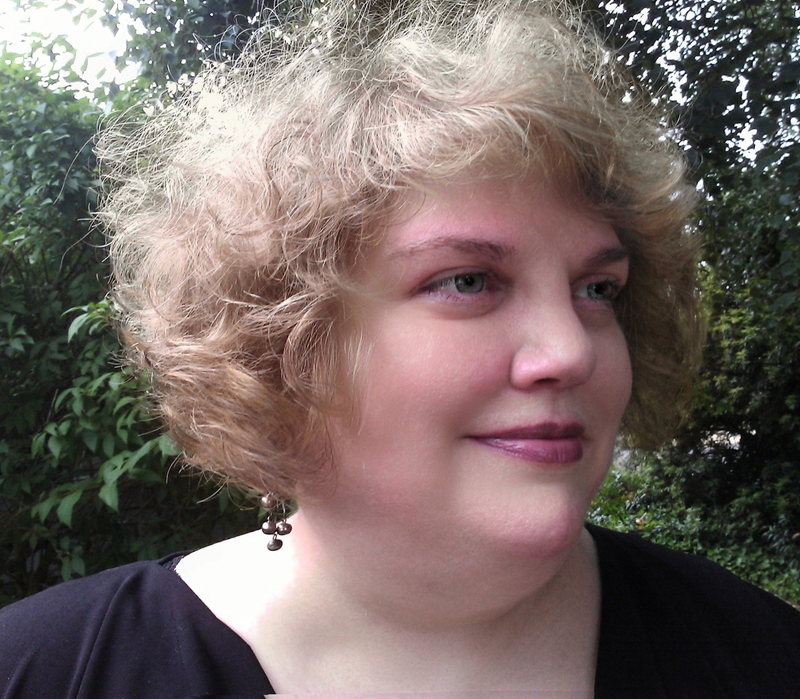 Oregon’s sixth Poet Laureate, Paulann Petersen has five full-length books of poetry: The Wild Awake, Blood-Silk, A Bride of Narrow Escape, Kindle, and The Voluptuary. Her most recent publication is Shimmer and Drone, a chapbook of poems about India. She was a Stegner Fellow at Stanford University, and the recipient of the 2006 Holbrook Award from Oregon Literary Arts. 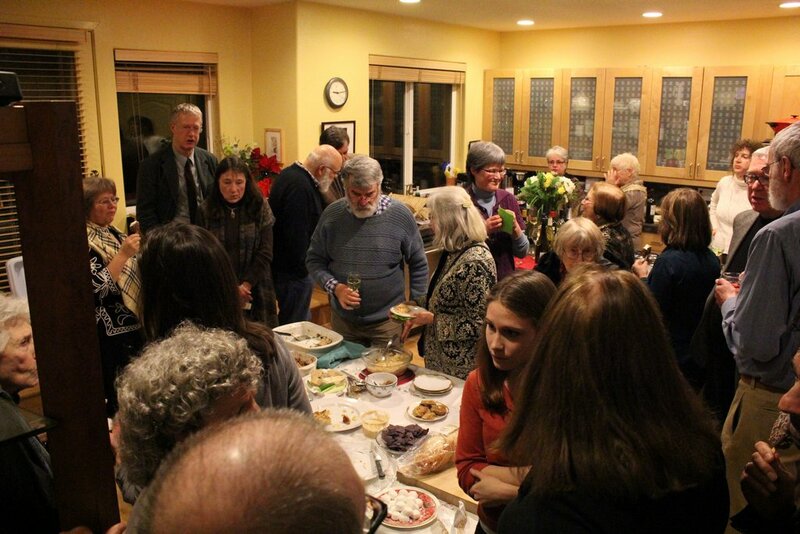 She serves on the board of Friends of William Stafford, organizing the January Stafford Birthday Events. • How long does it take to create a composition? It really depends, and I never know for sure. One can say that a long, complex poem will generally take more complex work. Once I have a strong idea, especially if the poem is short, I can often write it in a sitting or two — and then there will be lots of editing afterwards. On the other idea — that doesn’t always happen. For instance, I recently wrote music to a poem called “Thirst” by Paulann Peterson. It was short, succinct, had form, and I had a strong idea of trying to imitate water on the piano while the singer sang the lines with that water sound as simply a backdrop. For some reason, I struggled more with that music than with many other of my compositions, even though I really loved the poem and even my own idea. When the soprano and I rehearsed off and on for a few months, I continued to add edits — right up to two days before our performance. It was the song I was least confident of — and yet many people singled that one out to comment on. Nathalie Euwer Croft, soprano, studied voice and piano at the University of Oregon, where she minored in music. 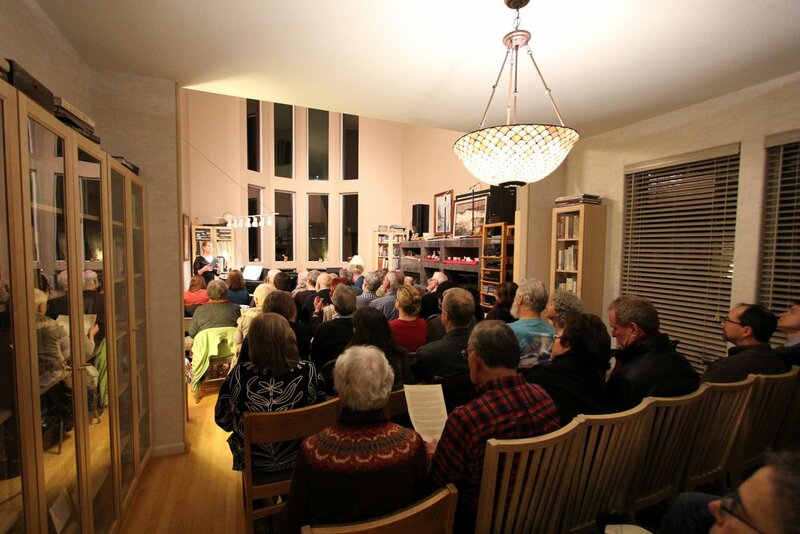 She has sung in many local choirs, including The Oregon Repertory Singers, The David York Ensemble, Sine Nomine, The Portland Opera Chorus, and Portland Camerata. Nathalie currently studies with Nancy Olson-Chatalas. Nathalie makes her living by teaching Spanish at Tigard High School. • “A Petition” is a very short poem. Did that seem more demanding of the composition, or easier than composing for a longer poem? For some reason, “A Petition” did not take me that long. There were four clever, distinct lines, and I wrote a musical line to go with each. I essentially used the idea of keeping the harmonics really simple — such as in a round — and that way the lines could be combined and recombined in different combinations. It’s a simple idea, and once I got going, it mostly fell right into place. And it was fun! The poet Anita K. Boyle makes her living as a graphic designer and visual artist. Her book What the Alder Told Me was published by MoonPath Press in 2011 as the first book in the new series for Pacific Northwest poets. Anita lives with her husband/poet James Bertolino just outside Bellingham, Washington. • What is your process for turning a poem into art song? First of all — I have to have some uncluttered time. I can have an idea — but I just can’t seem to work on it amidst the flurry of daily life. I often compose in the summer once I have brought a semblance of order to my life after the academic school year. And this is not a simple question because each song is somewhat different, but the process does fall into a kind of pattern. I spend quite a bit of time with the words – seeing where they can be divided, where the stress marks naturally fall, and I think about which words I would want to highlight. I think about the arc of the poem which should be reflected in the arc of the music. I’ve done some of my best brainstorming of this nature, believe it or not, on long airplane trips where I was able to sit there and concentrate without being distracted by the mundanities of life, and I’ll often just scribble notes and clues onto staff paper (I’ve even managed to become quite good at drawing my own staff paper onto a blank page to grab an idea that pops into my head). Anyway, I’ll start trying to come up with a melody that will work with the words and keep the arc going. After that, I’ll sit down at the piano and do some ad lib brainstorming and scribble down ideas — and sometimes I’ll record myself brainstorming on the piano. Then I start putting the basic ideas into the Sibelius software that I use. Once written, one can push a button and robotic music comes out of the computer — nothing like one had imagined it, but it’s useful anyway. Then it becomes a big editing process. I’m so thrilled when I can get a good singer interested in learning my music, because most singers won’t just sing an art song out of the blue without dedicating some real work to it. It isn’t until that person has spent time on it, and I’ve worked on my piano part, and we start to get a feel for it together, that I know whether my imagined ideas — however confident I felt when composing — are really going to work. Believe me, it’s very gratifying when one hears what one had imagined — more than once it has brought tears to my eyes just from knowing it’s happening, it’s working. In some cases, a singer will tell me that something just isn’t working right — or I will see it myself. A case in point is the poem “This Really Happened” by Caroline LeGuin. That one, by the way, took over three years to write — off and on, of course. It is a wonderful poem, with such a mood behind it and such a surprise at the end. The problem, once we started rehearsing, was that the music I had written hadn’t totally followed the arc of the poem toward the end. The soprano was very patient as I readjusted the ending several times — but by the time we were through, it was gratifying and I feel it did work. • Of the people in your life, who were particularly inspiring to you musically? I grew up in a very religious family with eight children and we did a lot of singing of hymns and psalms, often in four part harmony. I also was privileged to receive piano lessons off and on through the years. We were pretty isolated in some ways — didn’t listen to popular radio or watch TV — but classical music was allowed in our home. 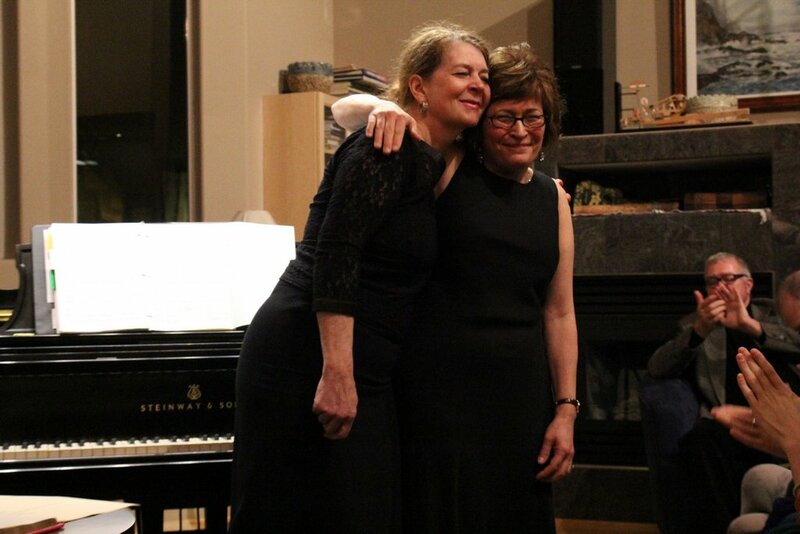 I could go on about each step along the way but in a nutshell, I’ve gradually linked with others who play or sing, and I’ve had some great piano lessons from Dr. Susan DeWitt Smith — and people have been encouraging to me. 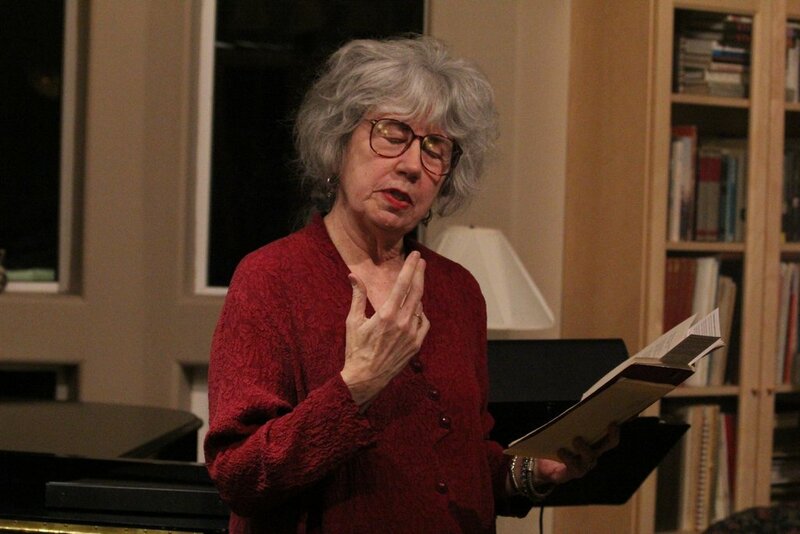 Poet Leah Stenson hosts the Studio Series Poetry Reading and Open Mic in SW Portland, serves on the board of the Friends of William Stafford and is a regional editor for the upcoming publication The Pacific Poetry Project. She writes poetry and memoir. Her poetry chapbook, Heavenly Body, was published by Finishing Line Press in 2011. • What have other pianists and/or composers done that has inspired you? I’ve been inspired by Fannie Mendelssohn, Clara Schumann, and Amy Beach. I’ve given a number of presentations about their lives and performed some of their music, and in the case of Fannie and Amy, my niece performed a number of their beautiful songs with me accompanying. While they are more acknowledged now than they have been in the past, they are great composers in their own right, and reading about their struggles and their achievements in spite of difficulties has been very inspiring to me. • Why have you decided to do house concerts? I also know that there are a lot of talented people performing music who will be unlikely to make major headlines, sometimes amateurs like myself who play for the love of it, and I like to provide a venue for that. I host a couple of performance groups regularly where people just come and play for each other. The concerts, though, are a bit more formal, and I try to find people who are prepared and accomplished for those. People come my way. • If you could invite anyone to feature at one of your house concerts, who would you invite? What would you hope to hear? 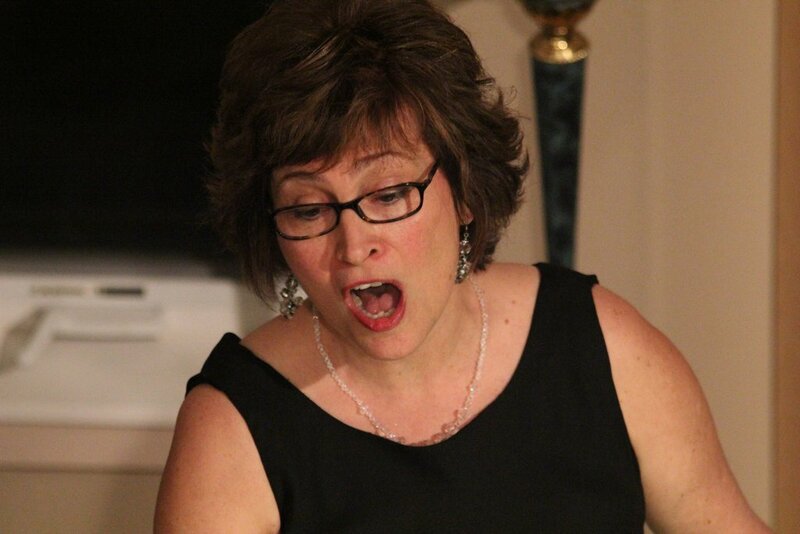 I would love it if a high-profile soprano — let’s say Dawn Upshaw — would learn some of my songs and perform them. Actually, I’d like her to bring them around the world because I want to honor the poets who have written poetry and my efforts to highlight the poetry — and then more people would begin to perform them. So now that I think about it — I’d love to have her in my house, but I’d really like her to carry it out to the world. So who would I like to have in my home? Just more of the wonderful people who have already agreed to perform and those whom I will meet in the future where the venue fits. • What was your biggest musical challenge? That’s hard to say. Each challenge is its own particular challenge, and I have confidence that I can resolve each one if I keep struggling with it and working with it. My biggest challenge, really, is the next step — how to get the songs beyond my own living room and into the repertoire of other singers. 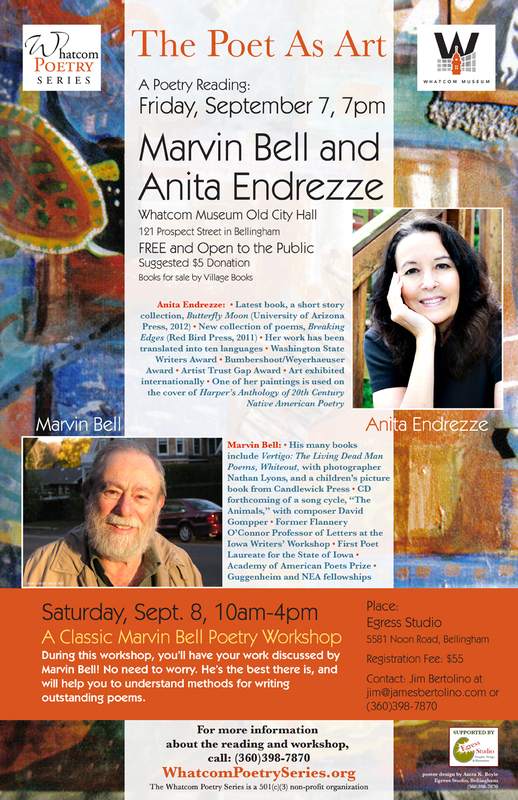 On Friday, September 7, 7-8:30pm two outstanding poets — Marvin Bell and Anita Endrezze — will read at the Whatcom Museum (Bellingham, WA). This is our first collaboration with the Whatcom Museum, and promises to be an event you won’t want to miss. The reading will be at the Whatcom Museum’s Old City Hall (121 Prospect Street, Bellingham) in the Rotunda Room, a perfect place to hear poetry. 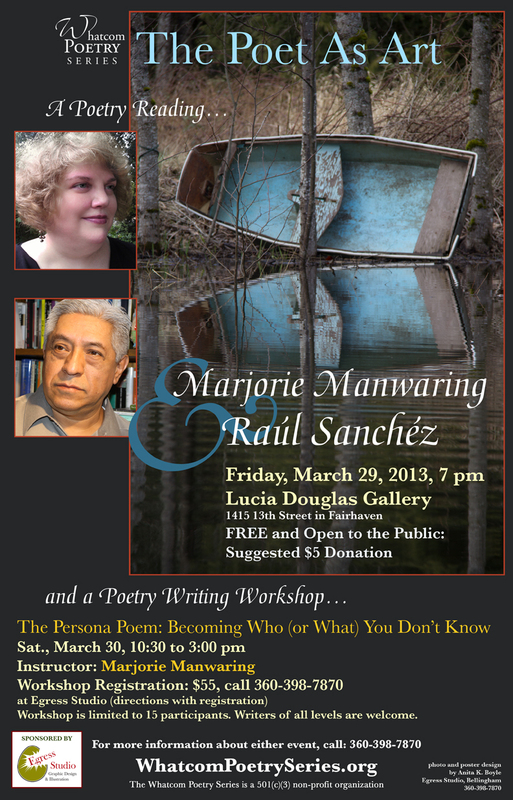 The award-winning poets Marvin Bell and Anita Endrezze will share their poems at this event. The evening will include poems read by both poets, and a slide show of Endrezze’s art. 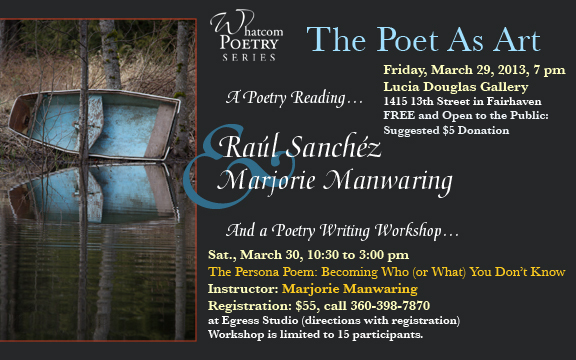 The Whatcom Poetry Series and Whatcom Museum are co-hosting this special poetry reading, with a suggested donation of $5 in support of the museum. 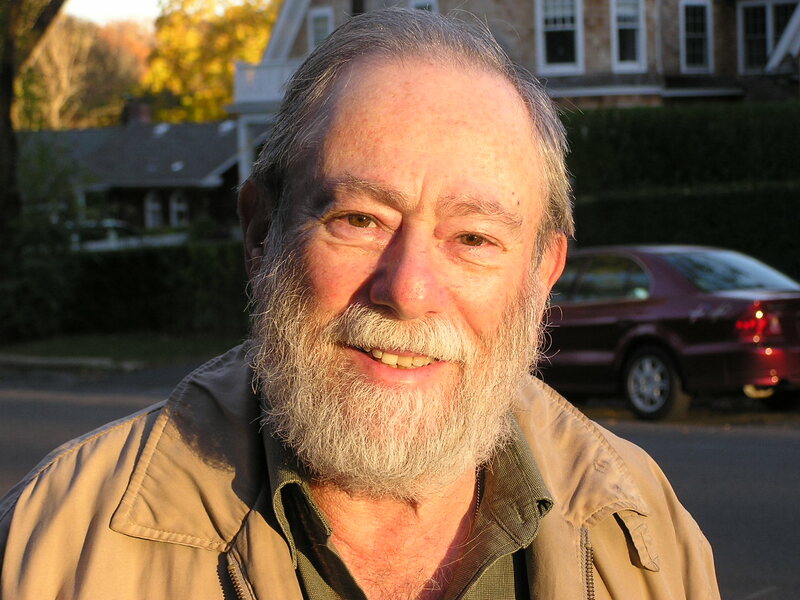 Marvin Bell is the renowned author of 23 books. His The Book of the Dead Man created a national sensation, and the publisher of Mars Being Red and other collections is Copper Canyon Press in Port Townsend—where Bell and his wife have a home and spend part of each year. 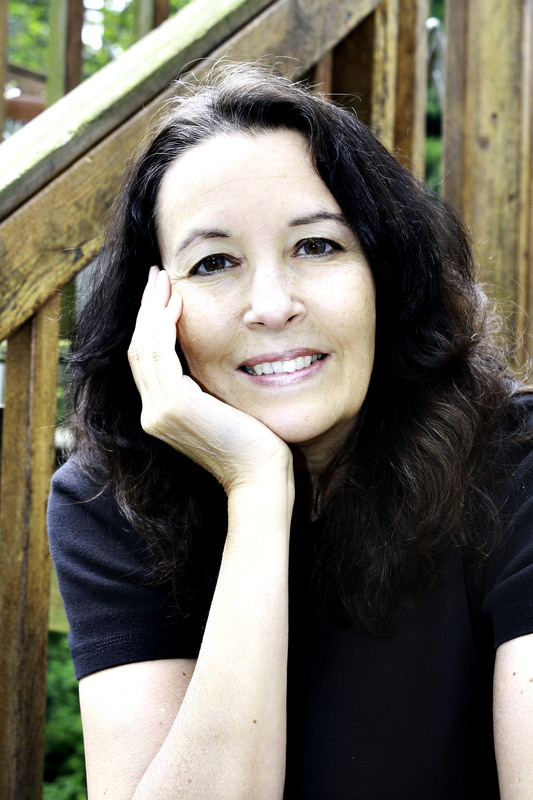 Anita Endrezze, who lives in Washington, is a Native American writer widely respected for both her poetry and her fiction. Her book Throwing Fire at the Sun, Water at the Moon, published by the University of Arizona Press, uses poetry, stories and her own artwork to represent her Yaqui Indian heritage. As a poet and visual artist, Endrezze will discuss the collaborative, creative process that runs between poetry and art. Marvin Bell has been called “an insider who thinks like an outsider,” and his writing has been called “ambitious without pretension.” He was for many years Flannery O’Connor Professor of Letters at the Iowa Writers’ Workshop. His former students cover a wide range of aesthetics and include Denis Johnson, Juan Felipe Herrera, Marilyn Chin, Larry Levis, Rita Dove, Norman Dubie, Michael Burkard, Albert Goldbarth, Joy Harjo, Mark Jarman, David St. John, Thomas Lux, Patricia Hampl, Kimiko Hahn, Stephen Kuusisto and James Tate. He served two terms as the state of Iowa’s first Poet Laureate. He currently teaches in the low-residency MFA program based at Pacific University in Oregon. He has collaborated with composers, musicians, dancers and other writers, and is the originator of a form known as the “Dead Man” poem. His 23 books include Vertigo: The Living Dead Man Poems, Whiteout, a collaboration with photographer Nathan Lyons, and a children’s picture book from Candlewick Press (illustrations by Chris Raschka) based on the poem, “A Primer about the Flag”—all released in 2011. A CD is forthcoming of a song cycle, “The Animals,” commissioned by composer David Gompper. His literary honors include awards from the Academy of American Poets, the American Academy of Arts and Letters and the American Poetry Review, Guggenheim and NEA fellowships, and Senior Fulbright appointments to Yugoslavia and Australia. Bell designed and ran for five years a program for teachers from America SCORES. He edited poetry for five years for The North American Review at its rebirth and for two years for The Iowa Review at its inception, and he conceived and edited an annual series for Lost Horse Press called New Poets / Short Books. Mr. Bell lives mainly in Iowa City, Iowa, and Port Townsend, Washington. Click here to see an eleven minute video interview with Bell about writing in the “On the Fly” series..
Click here to learn more about Marvin Bell from The Poetry Foundation’s website. 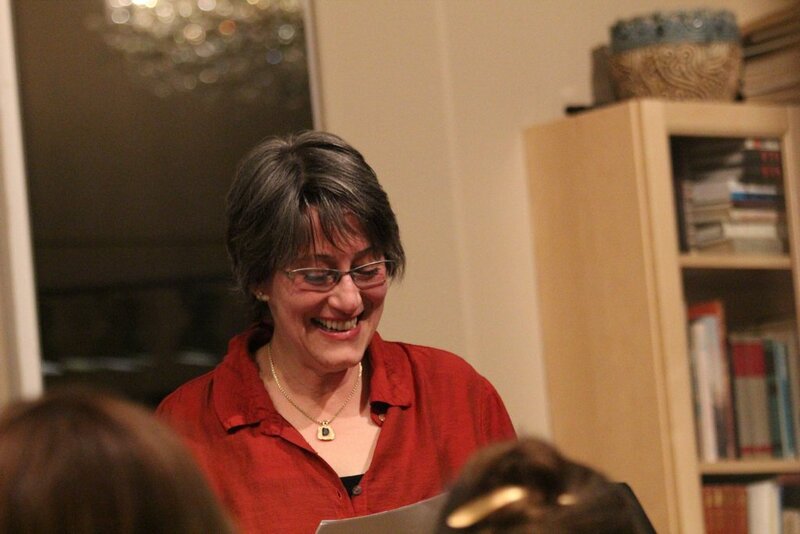 Anita Endrezze is a writer, poet, teacher, and artist. Her next book, a short story collection called Butterfly Moon, will be published by the University of Arizona Press in 2012. 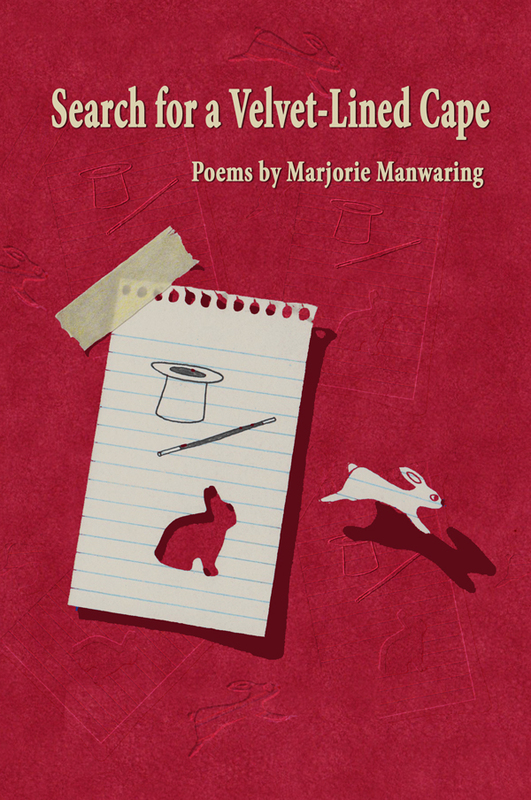 She also has a new chapbook of poems, Breaking Edges, from Red Bird Press in 2011. Her previous publications include: Throwing fire at the Sun, water at the Moon (University of Arizona Press, 2000), at the helm of twilight (Broken Moon Press, 1992), Bjerget og Skystaanden (CD-Forlag, 1986), Lune d’Ambre (Rougerie, 1991), and three other books. Her work has been translated into ten languages: Farsi, Danish, French, German, Macedonian, and Italian, Portuguese, Chinese, Catalonian, and Spanish. A recent broadside from Red Bird Press featured her poem “K.I.A,” along with artist James Autio. She speaks Danish and some Spanish. 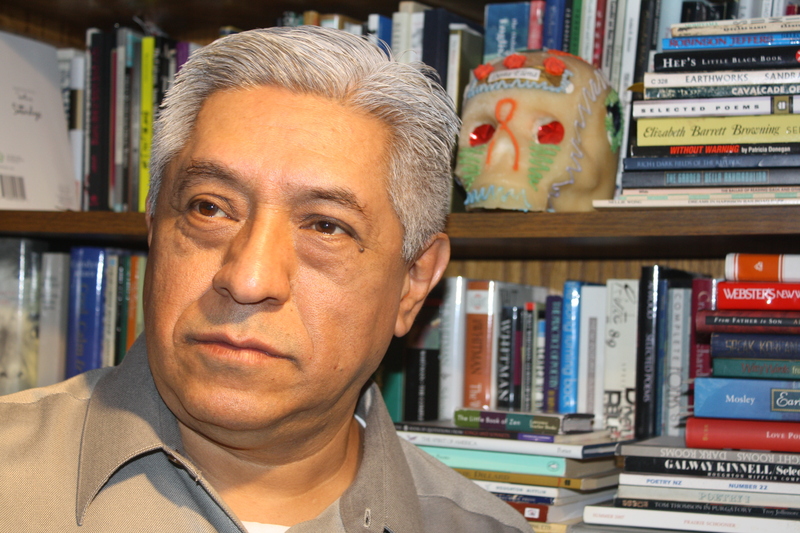 Endrezze has won the Washington State Writers Award, the Bumbershoot/Weyerhaeuser Award, an Artist Trust Gap Award, and 1st place in the Washington Poetry Society Contest. 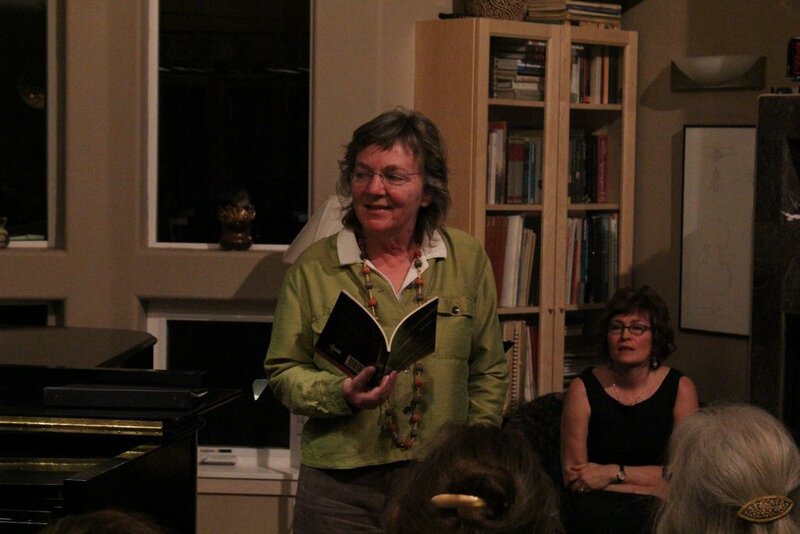 She was a two-year appointee for the Washington State Humanities Commission in their Inquiring Mind Speaker series. She has a Master of Arts Degree in Creative Writing from Eastern Washington University, and a B.A. 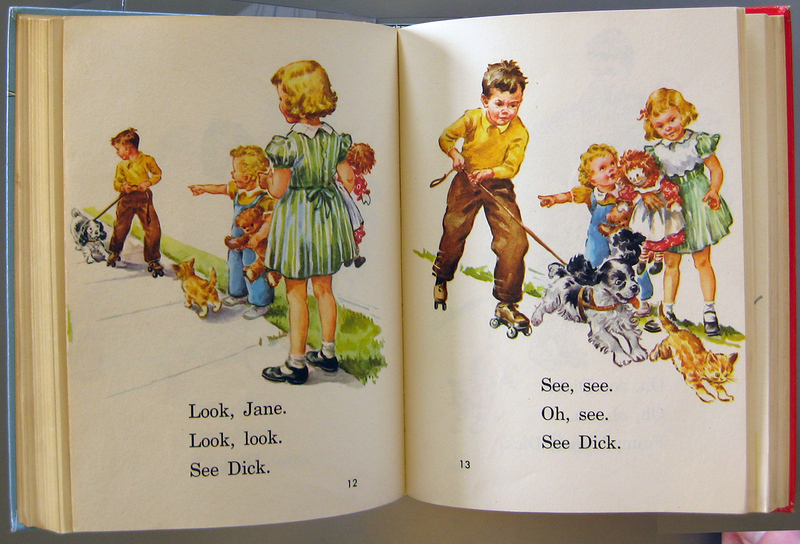 in English, with an emphasis on Secondary Education. She’s taught high school, college, university and in the Poets in the Schools. 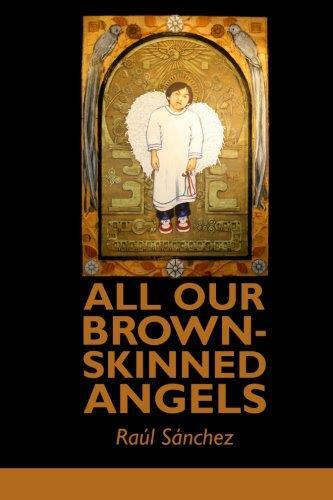 Her writing appears in dozens of anthologies, such as Carriers of the Dream Wheel, Harper’s Anthology of 20th Century Native American Poetry, Reinventing the Enemy’s Language, Talking Leaves, Blue Dawn, Red Earth, and Earth Song, Sky Spirit. She also has an essay in a book of autobiographical essays, Here First. Her work is also in many literary magazines. 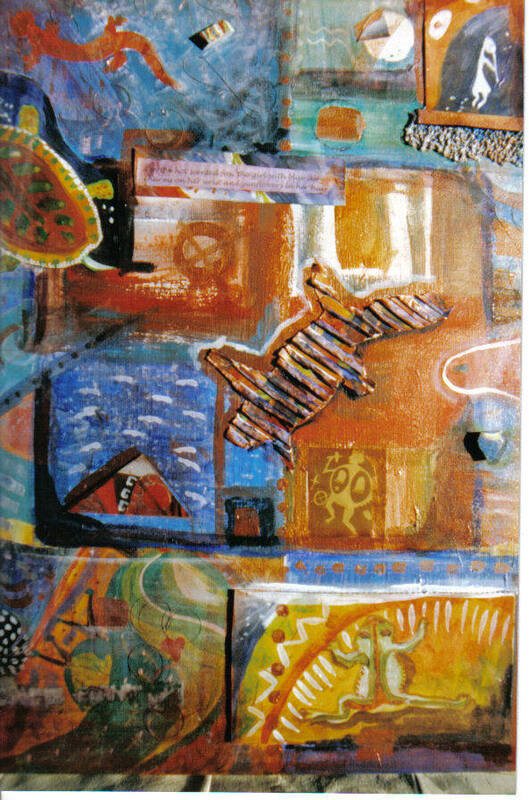 As an artist, her paintings have graced book covers, such as Harper’s Anthology of 20th Century Native American Poetry, as well as illustrations for her own book covers. She’s had exhibitions in England, Wales, and the US. Endrezze is half-Yaqui Indian, Slovenian, north Italian, German-Swiss. Click here to learn more about Anita Endrezze from The Poetry Foundation’s website. Village Books will be present at the Whatcom Museum to sell the books of both authors. Paintings by Anita Endrezze will also be available. Information about the workshop to be taught by Marvin Bell will be in the next blog post coming next week. Please email Jim Bertolino (jim@jamesbertolino.com) for details and to register for the workshop.